Patrick McPartlin: Regardless of the miserable run Hibs are on, they should have enough to see off St Mirren at home. The Buddies will be without striker Simeon Jackson, who scored in the 1-1 draw with Dundee that brought Oran Kearney's side their only point on the road so far this season. It's hard to imagine Neil Lennon tolerating another below-par performance from Hibs and while it might not be pretty or convincing, I reckon Hibs will come out on top. Prediction: Home win. Anthony Brown: A little over a month ago, this match would have been viewed as a home banker but Hibs’ recent slump - their last two matches in particular - means there is increased pressure on Neil Lennon’s team this evening. With confidence clearly low, this could become an awkward fixture if Hibs are unable to assert themselves early on. In that regard, they should be aided by the fact St Mirren are in a dire run of form themselves and have a vastly inferior squad. This is as good a chance as Hibs will have to get back on track before the winter break. They must seize it. Prediction: Hibs win. Joel Sked: The Kilmarnock game was perhaps the lowest point in Neil Lennon's tenure. Hibs were really, really poor and for the first time in a long time it was hard to work out what exactly the game plan was. However St Mirren are the ideal opponents. They are a Championship team in all but name and come into the fixture after a demoralising 3-1 defeat at home to Hamilton Accies which provoked the ire of the Buddies support. It may not be Hibs' best performance but they will pick up three much needed points which will stop the rot and possibly kick start the season. Home win. Craig Fowler: Hibs have been really poor recently, with the recent loss at Kilmarnock right up there with the worst they've played under Neil Lennon. It's the perfect time to take advantage of their lack of confidence. Unfortunately for St Mirren, they're still St Mirren, and therefore lack the ability to go to Easter Road and expect to take anything. Yes, St Mirren did win against Hearts recently, and Dundee came back from two goals down to draw in Leith, but surely lightning won't strike for a third time? A comfortable Hibs win. Mark Atkinson: This is such a crucial match in Neil Lennon's tenure. After the 2-2 draw with Dundee, I had it down as a sticky patch. Fail to win here and I think the term crisis isn't that far away. With that in mind, this game carries significantly more pressure on a Hibs side than what they'd normally face when playing St Mirren. However, the Buddies have not impressed me this season and ship too many goals. That should give Hibs heart. 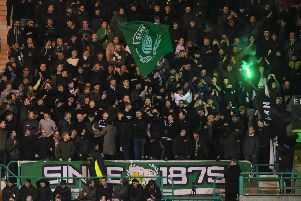 The Easter Road team is stronger all over the pitch than their visitors and provided the players and crowd can show a bit of patience if there is no early goal, I think Hibs will win this. Neil McGlade: What a huge 90 minutes ahead at Easter Road tonight for Neil Lennon’s Hibs. The growing unrest among supporters could make for a tense evening should the home side fail to stamp their authority early in the game. The last two performances - at Kilmarnock and home to Dundee - have fallen well below expectations. Lennon’s team selection will come under scrutiny given the ultra-defensive formation he elected for at Rugby Park. Despite slumping to a 3-1 loss at home to Hamilton at the weekend, visitors St Mirren will fancy their chances of extending the Capital side’s winless run to seven. However, I think Hibs will win by the odd goal.